Hanging chairs are the very latest in gardening style: not only beautiful sculptural pieces that make your garden bang on trend, but also incredibly comfortable. These are chairs you sink into, enveloping you in a little cocoon of luxury. 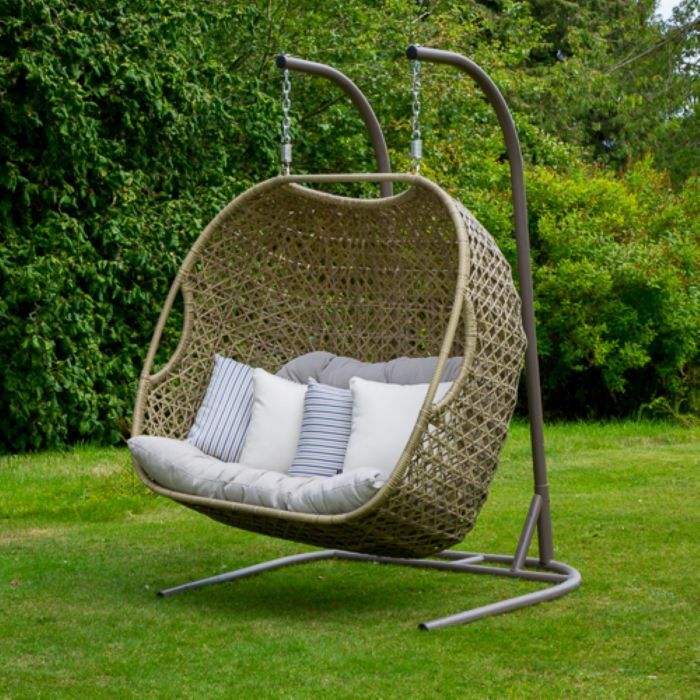 Our most popular hanging chair is this Oakridge Double Cocoon redefines relaxation, boasting a contemporary take on a traditional swing seat, perfect for enjoying the longer summer days in full relaxation. Please ask the staff in our Swarkestone garden centre for more information and advice about hanging seats for your garden.